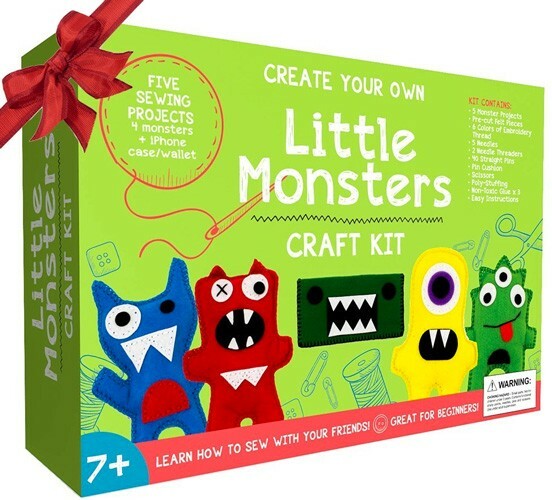 Kids will love making these crafty little monsters as they learn the basics of sewing! 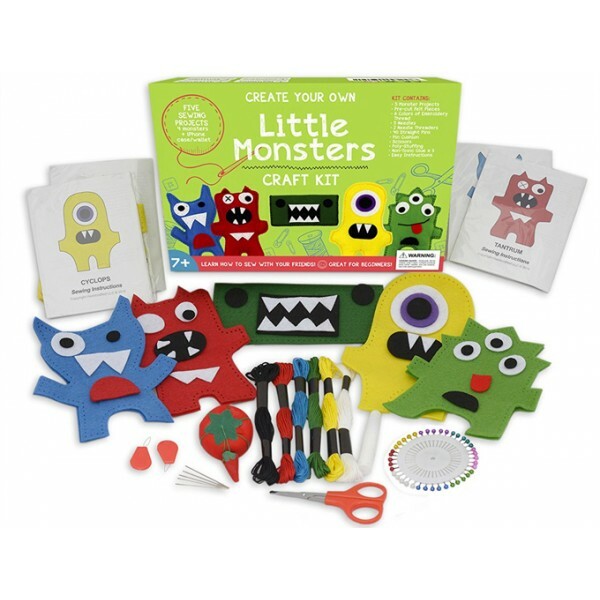 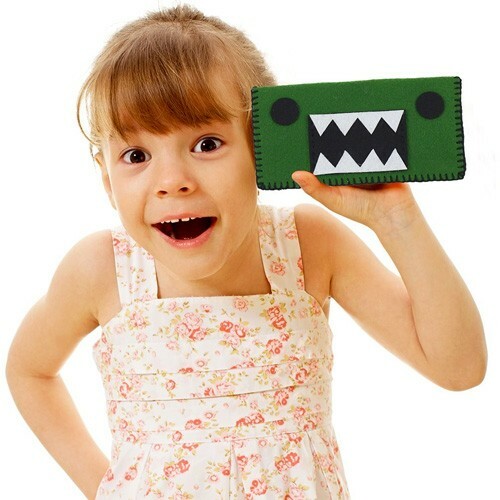 This set comes with everything you need to make five colorful monster projects, including a phone case/wallet. 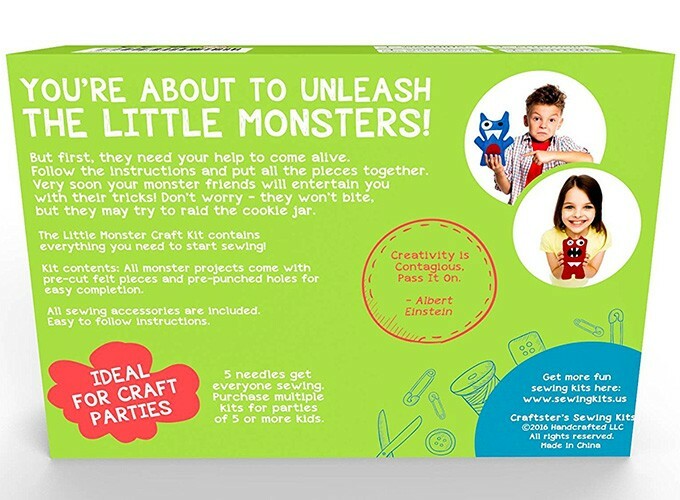 Each project includes pre-cut and pre-perforated pieces, making it simple to follow the instruction and get great results, building confidence as they build sewing skills. 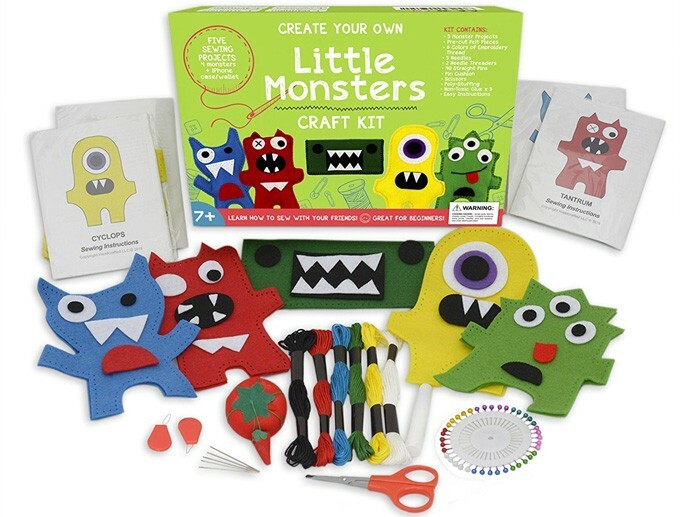 For more projects for crafty kids, visit our Arts and Crafts Collection.